An economical way to stock up on fusible glass without compromising on quality. Wissmach glass is well known for unique mixes of colours. The Prisma line is designed specifically for kiln forming and offers a glass that ranges from soft wisps of color to more intense streaky colour combinations. The predominant colour in the colour mix is always the first color listed. Each side of Prisma Glass has a unique pattern - doubling your design options. 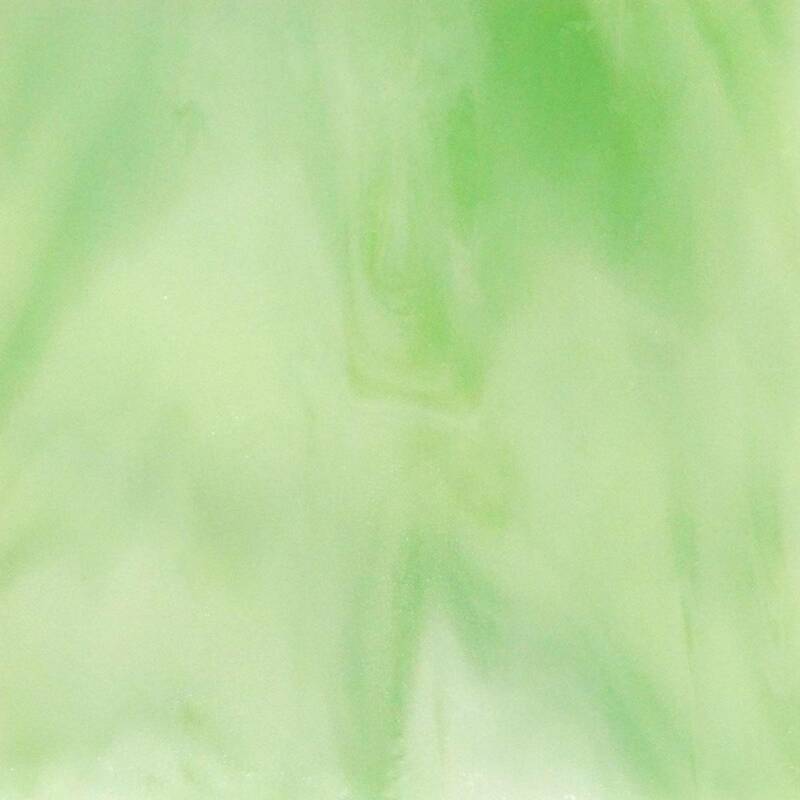 Prisma glass makes it easy to add colour and movement to your fused glass project. Glass features streaky wisps of white running through green opal. 90 COE. Glass images shown are from a small sample piece. Colours and patterns will vary.